This single use, disposable safety syringe needle features engineering controls designed to provide a high level of safety while conforming to user technique. Intuitive design for easy one-handed activation. The robust safety shield entirely covers the needle while the integral safety mechanism is activated by a simple press with the thumb or finger, or by pressing the device against a solid surface such as a counter or tabletop. 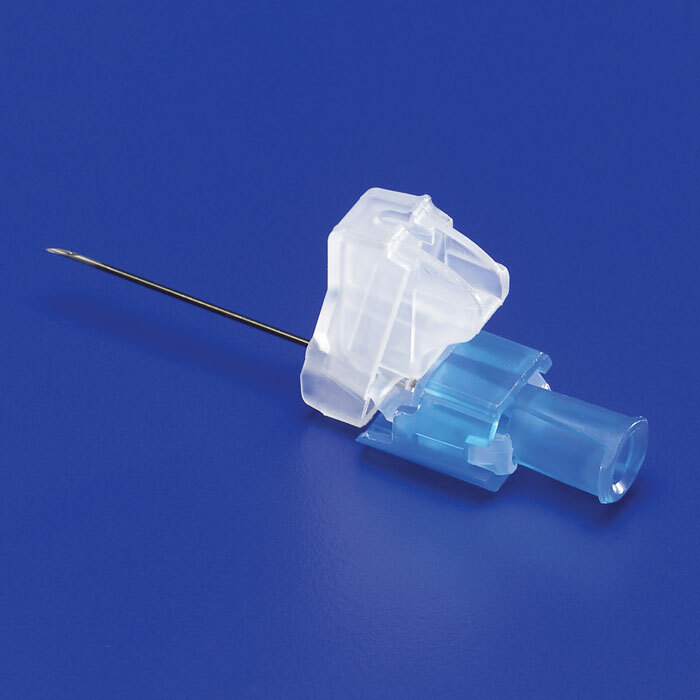 Safety device doesnt obstruct vision of tip of the needle during use. Safety feature is an integral part of device, user cannot detach the shield without bending or mutilating the needle. Packaged in a sterile, easy-to-open peel pack.